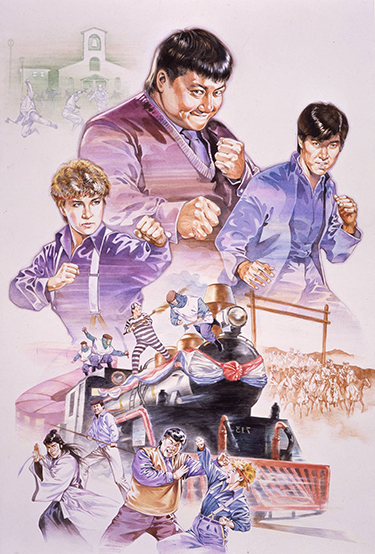 In what was the second highest grossing Hong Kong film in the year of its release, an all-star cast joins martial arts heavyweight Sammo Hung in the infectiously enjoyable Millionaire’s Express. On his way back to his hometown of Hanshui, small-time criminal Ching (Sammo Hung), intends to derail the Shanghai Express, a train packed full of wealthy travelers. Ching’s intention is to have the train’s wealthy passengers spend their money in Hanshui, and revitalize the small town’s local businesses. However, this proves problematic when the train becomes the target of a motley assortment of thieves, bandits and ex-cons, each with their own get-rich-quick scheme.